Increase performance by 10 horsepower and 7 Ft./Lbs of torque with the aFe E9X M3 Power Pulleys. 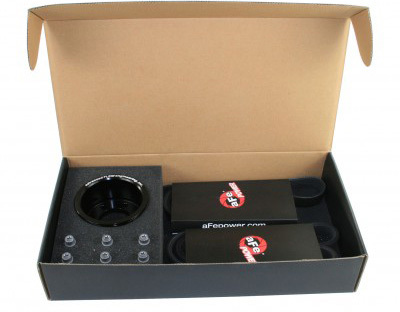 Further increase power output from your M3 with this simple yet effective modification, aFe E9X M3 Power Pulleys. The aFe E9X M3 Power Pulleys are completely bolt on, and in dyno testing they showed gains of 10 horsepower and 7 Ft./Lbs of torque, only with the installation of this pulley kit. Most importantly this power pulley kit does not modify the factory harmonics or dampening of your engine! As with all aFe products, quality is top notch. The aFe E9X M3 Power Pulleys are CNC machined from billet aluminum, and anodized black for an aggressive look and great durability. 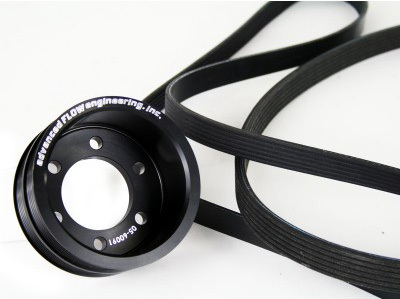 The M3 Power Pulley Kit includes the belts as well.